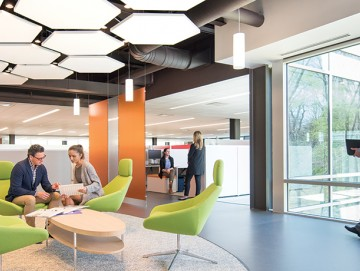 For a variety of reasons, traditional lay-in acoustic ceiling tiles are simply the most effective solution for many spaces. This is especially true for retrofits like the CertainTeed headquarters, where existing HVAC systems must be accessible. 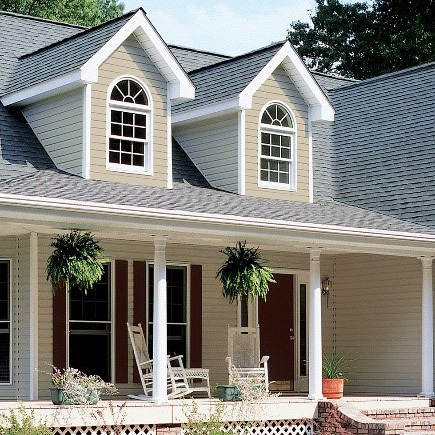 It’s also a favorite when budgets are tight and background noise is an issue. Of course, heavily fissured ceiling tile doesn’t always satisfy the design vision. The trend is toward clean, bright panels with minimal texture and edge details that minimize the suspension system as much as possible. For the 119,000 sq. 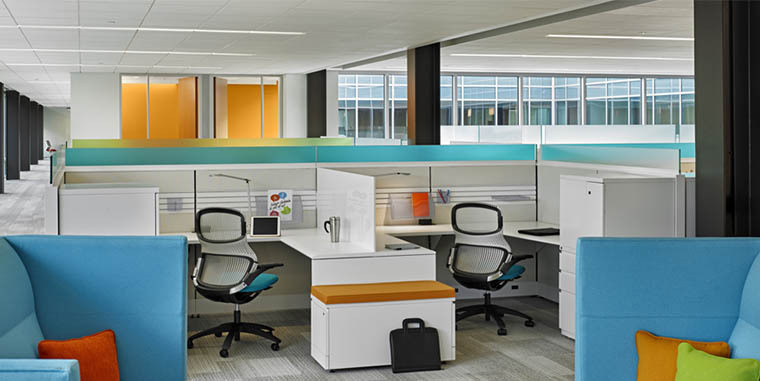 ft. open office space at CertainTeed headquarters, the designer’s original plan called for Symphony® f fiberglass panels in a floating island configuration over the work stations. The contrast of smooth, white panels against the black-painted plenum and exposed ductwork would be dramatic. 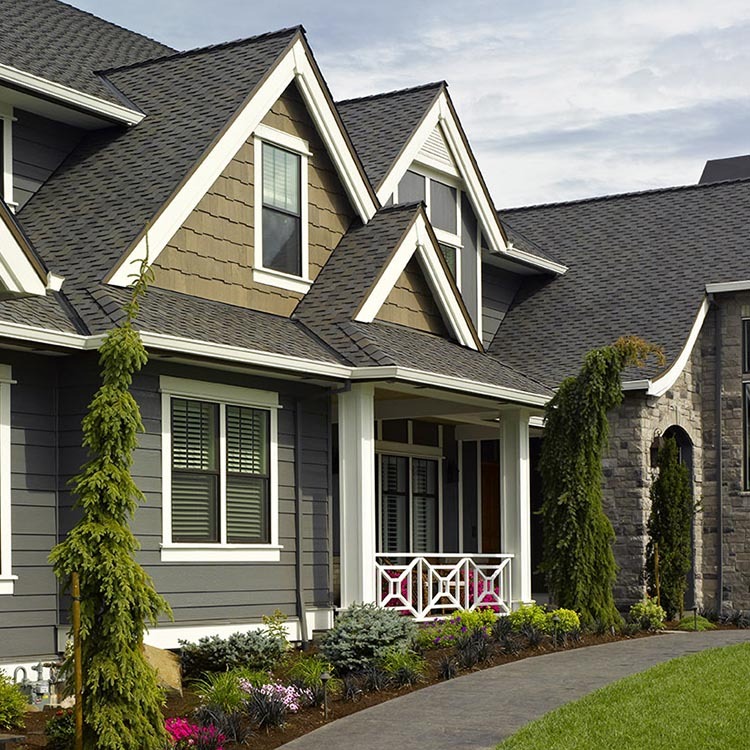 But the realities of low frequency noise from an existing HVAC system required our team to rethink the approach. We needed a solution to block the HVAC noise from reaching the work stations below, and while the original plan of fiberglass would provide excellent sound absorption, it's not an optimal sound blocker. In this type of situation, most would default to a single-product solution. Our technical services team can help you create your own combination of target products for optimal acoustic performance in your next project. TARGETED PERFORMANCE. CONSISTENT APPEARANCE. ULTIMATE DESIGN FLEXIBILITY. 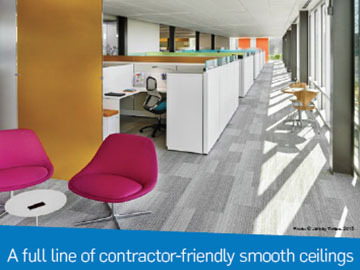 Find out more about Symphony for all of your smooth, acoustic ceiling needs. 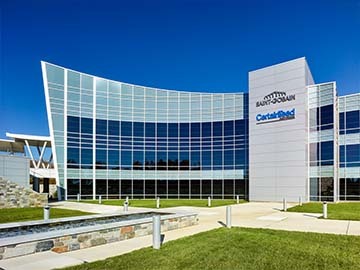 Learn from our experience as occupants and experts in the new CertainTeed/Saint-Gobain North American headquarters. Have questions about Symphony? 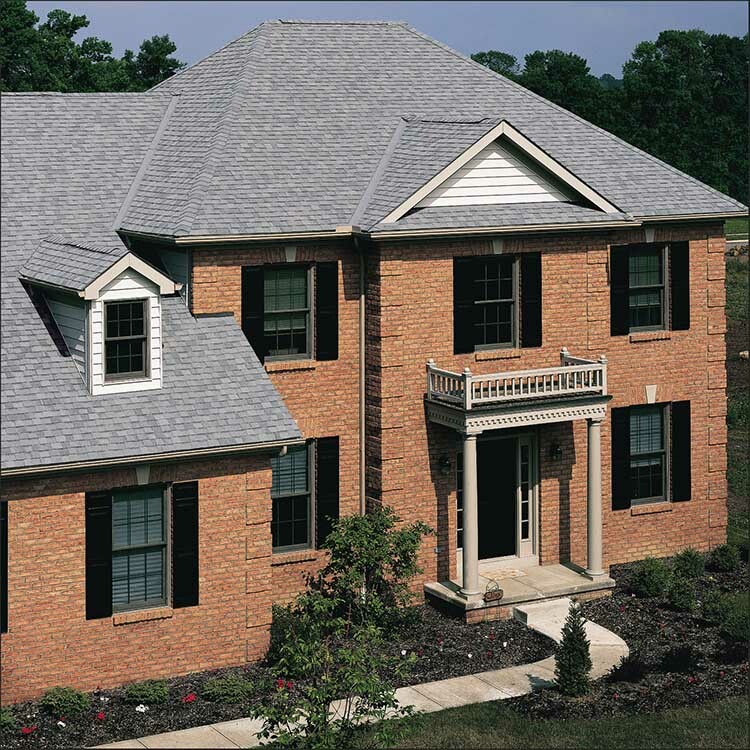 Contact CertainTeed Ceilings for the help you need.